We are a family of four who in 2016 drove across Europe to Iran and back through Georgia and Armenia. We took in 14 and a half countries and about 18,000km in our ridiculously slow1957 Land Rover. This year we are off to Morocco and then later in the summer north to Scotland. This blog follows our journey through the countries we have visited. To add a level of complication we have a 1957, Series 1, Land Rover, 107″ Station wagon, called Kabylie. Noisy and a little slow but also mechanically simple and we love her! The idea was born out of a desire to have an adventure with the kids. Before they arrived on the scene Justine and I sailed a small boat from Hong Kong to the UK and we always thought our big family adventure would be a nautical one. That was before we move to Biarritz. Here we lie in bed, listening to the waves crashing on the rocks and the beam of the lighthouse light flashing on our window as the wind shakes the shutters. Some years ago I made the mistake of buying a classic car (I was 40). The sporty red ones were too expensive but anyway I had always wanted an old Land Rover. I soon regretted this slightly impulsive purchase because whatever I did it constantly broke down. So, armed with google and youtube I took the whole thing apart and spent a very happy two years in the garage. Eventually we both emerged from the garage and I joked it would be fun to test this thing and take it on an adventure when the kids leave home. A few months later it was actually Justine who said “why don’t we go now, with the children…….” so it was decided……..
Its a ridiculous car to take but we have the time. 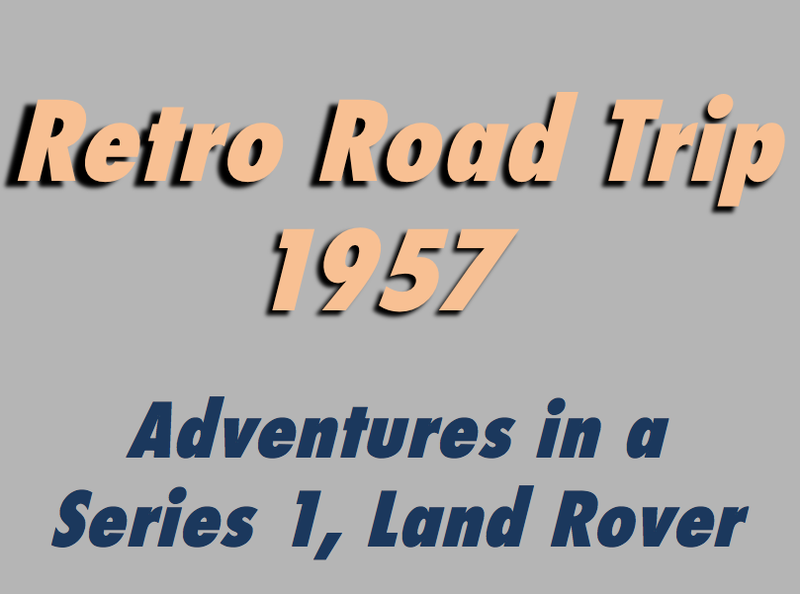 It has been a lot quicker than sailing and in its simplicity and slight discomfort we feel we have recaptured some of the magic of 1950’s style automotive exploration! Are we mad? Use our Contact Us page to tell us we are nuts!